With a resume that includes work on the Concorde jetliner and the Dash 7 commuter, aircraft designer Chris Heintz spent his time outside of work developing original kit aircraft of his own in his garage. These designs soon broke through into the aviation world as the Zenith Aircraft Company, offering diverse experimental and light sport (LSA) aircraft. To date, over 2,000 Zenith Aircraft kits have been sold and delivered. The all metal “on airport” version of the STOL CH750 and an economical choice for cross country flights. A light sport short take-off and landing (STOL) machine! Rotating speed can begin and 25mph and depart in only 90 feet. A low wing in LSA in the Zodiac line of Zenith Aircraft, the CH601s and CH650s appeals to sport pilots looking for an affordable and sleek aircraft. A four seat “heavy duty” utility model of Zenith Aircraft featuring and 180 horsepower engine. The CH801-HD has been nicknamed the “Sky Jeep”. Zenith kits have been known to be completed within only 400 hours. Builders looking to learn all about constructing their own Zenith can stop by the factory in Mexico, Missouri to learn all about building the STOL CH750, CH750 Cruzer, CH701 and CH650 aircraft. The factory also opens its doors for the annual Open Hangar Day and Zenith/Zodiac fly-in. For more about the Zenith Aircraft Company visit their website at Zenithair.com. 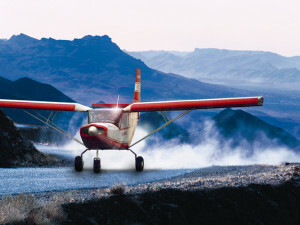 Light sport aircraft are relatively new to the aviation industry. When it came time to insuring these aircraft, Aviation Insurance Resources (AIR) was at the forefront and one of the first in the industry to offer insurance on many LSA makes and models, from Czech Sportcruiser to Cubcrafters Carbon Cub to Flight Design CT, Evektor, Tecnam, Bristell, Cessna Skycatcher 162, BushCat, and of course, Zenith Aircraft. We offer several different insurance policies to help protect you and your aircraft. Each year, AIR agent and pilot Gregg Ellsworth enjoys talking with sport pilots and Zenith airplane owners at the Midwest LSA expo in Mt. Vernon, IL and the U.S Sport Aviation Expo in Sebring, FL. PreviousPrevious post:AIR Announces: SFRA Course UpdateNextNext post:Aircraft Insurance FAQ: Can my friend fly my airplane?